CBR1000RR Fireblade ....Available in Black or Red..... Test ride today. 2018 Ride away sale clearance , limited time ! 2018 NC750X Red or White ! ONE OFF SPECIAL OFFER !! New year mini bike special !! The world's lightest OHC engine, the Honda Mini 4-stroke engine requires no fuel/oil mixing, and runs at approximately half the operating cost of comparable 2-stroke engines. A full 360° "any-side-up" operation means you can use and store the UMC435 in any position, and take advantage of the exclusive rotary-slinger lubrication system. The Edger's easy-to-use, adjustable height mechanism means that no matter what kind of lawn or paving you're working around, it will be up to the job. The VersaTool Pruner is the perfect attachment to be used with the Extension Pole, to reach those really high branches. Paired with the VersaTool 25cc or 35cc Power Heads, the Blower attachment is sure to send comparable products running for the hills. A common application for the VersaTool Cultivator is to use it in the vegie patch.No matter how dry or wet your soil is, the VersaTool Cultivator turns the earth simply, quickly and effectively so that you can get planting! If you've ever used a Honda Power Equipment product before, you'll know that the premium components that go into every Honda product are second to none.Utilising the 'one-click' connector of the VersaTool Power Head, attaching the VersaTool Brushcutter can be done in a second, so you experience less down time. The Short Shaft Hedgetrimmer features a 550mm double-sided blade, as well as a cutter guard to protect hands and legs from injury.It offers seven different positions across 110° and marries perfectly with the Extension Pole, so even the most hard-to-reach angles are easy to get to. Honda's HHH25D Hedgecutter is a great-selling product, so the VersaTool was never going to be complete without a Hedgetrimmer accessory.It's backed by a 4-Year Domestic Warranty as well as a 12-Month Commercial Warranty, which, paired with the VersaTool Power Head's extensive warranties, makes for hassle-free hedgetrimming for many jobs. Honda backs up the VersaTool Extension Pole, along with all the other VersaTool attachments, with a 4-Year Domestic & 12-Month Commercial Warranty.And there's a network of 400+ Honda dealers who are trained and ready to help you if you run into problems. 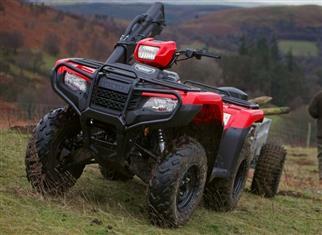 All new bike prices include dealer delivery and on-road costs. Hawkesbury Motorcycles has been trading for over 35 years and is Sydney's premier Honda Motorcycle dealership. 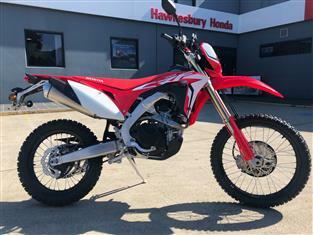 We carry a large range of NEW and USED Honda bikes as well as a large inventory of genuine Honda parts and accessories. Our team are some of the most experience in the motorcycle industry and can help you find the perfect bike.